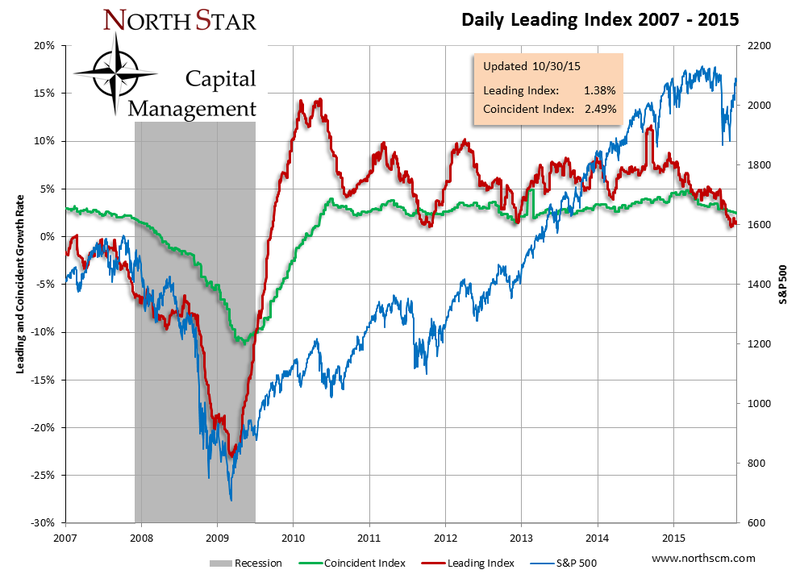 The Daily Leading Index decreased by 0.22% percentage points to 1.38%. The Daily Coincident Index is at 2.49%. The Daily Leading Index page on the tab above is updated daily during the week. 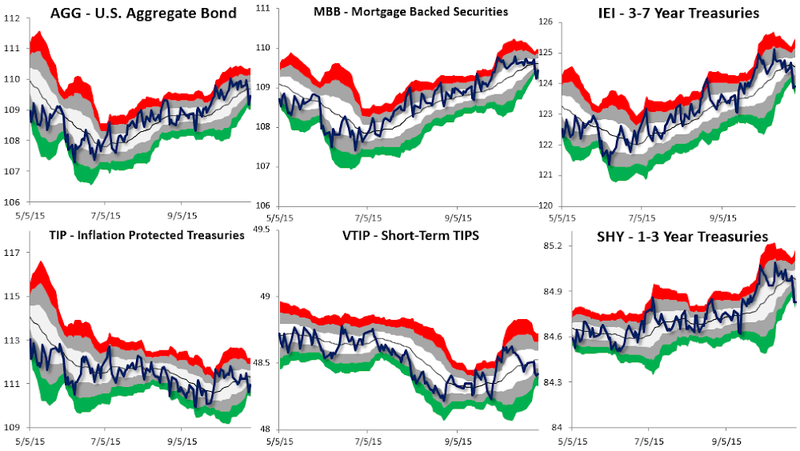 Stocks prices were mixed while bond prices were down for the week. The likely timing of the first rate hike by the Fed has moved up to January 2016. The Fed Funds futures are implying a 55% chance of a rate hike by January 2016 with an implied rate of 0.25% (a change from a 47% chance last week and an implied rate of 0.22%) according to data from CME Group's FedWatch tool. The charts below show the normal trading ranges for various indices for the last six months. 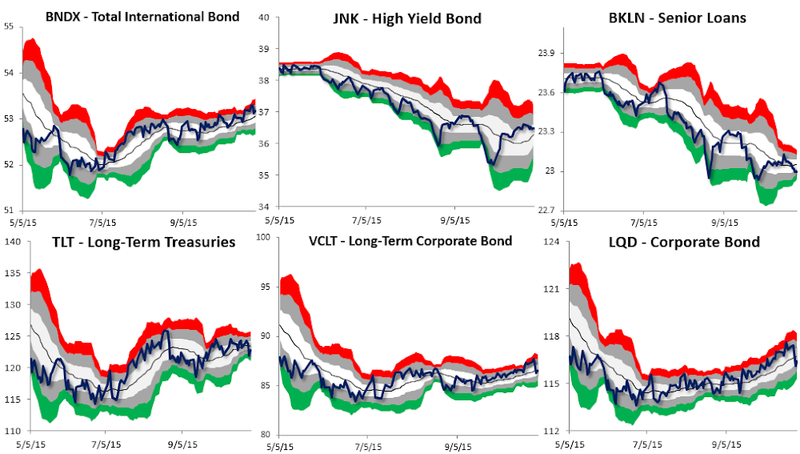 I have updated the charts to include all of the asset classes that I track. 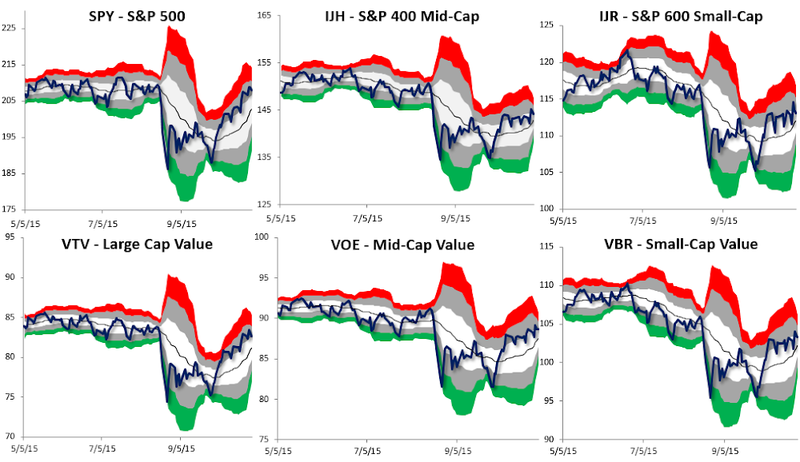 The red (or green) area indicates 2-3 standard deviations above (or below) the normal 21 day trading range. The gray area indicates 1-2 standard deviations above (or below) the normal 21 day trading range. The Leading Indicator for International Developed Markets (EFA) decreased by 0.26% percentage points to 2.12%. 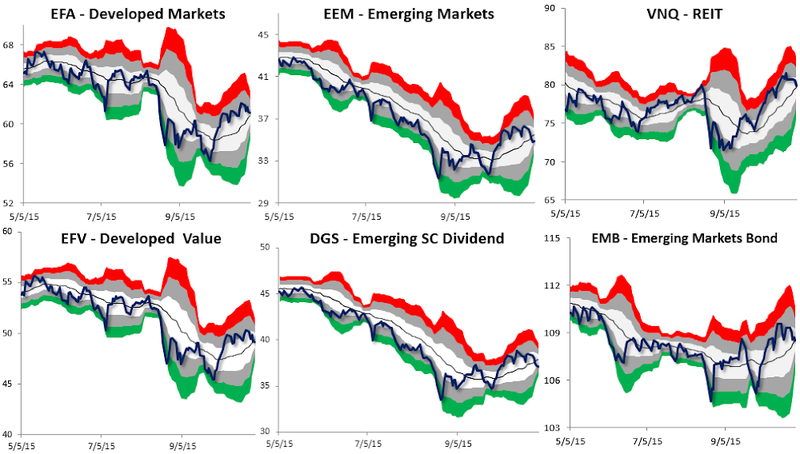 The Leading Indicator for International Emerging Markets (EEM) fell to 2.14%. 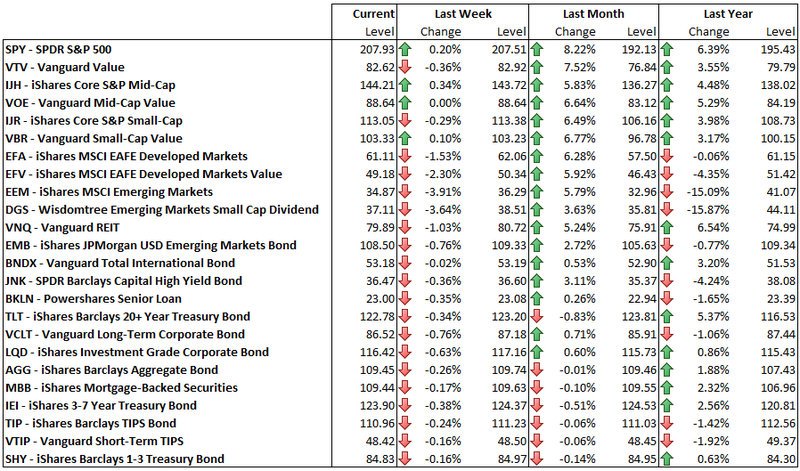 On the chart below, you can click on the blue and red buttons to see the Leading Indicator growth rate and an ETF for each country.